When I returned from Rome, one of the things I knew I had to do was to cook more Italian food. Like I mentioned before, pasta is one of my favorite things to eat, but Italian food goes beyond that. I challenged myself and decided to cook my very first RISOTTO! 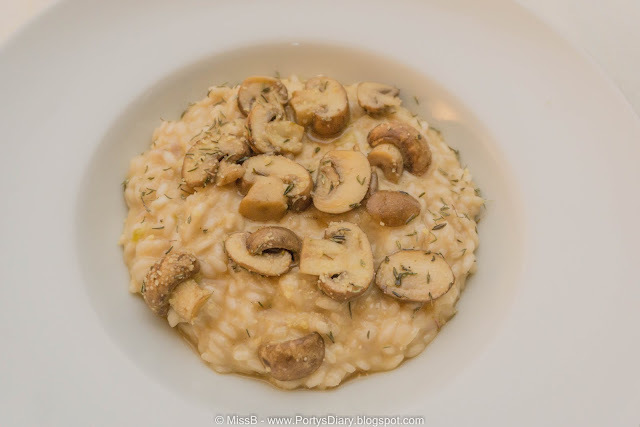 My appreciation for Risotto started during the my last visit to NYC (see here), and of course, while in Rome I had it once for dinner. It was a seafood tomato risotto. But for a first experiment, I thought it would be smarter to just go for something easier. Beginner level, you know? Browsed the internet, and like normally happens, I ended up at Jamie Oliver's website and picked out a simple mushroom risotto recipe. When Jamie says it's easy, it really is! I totally recommend this recipe, not only is super easy to make but it does taste DELICIOUS! The risotto was as creamy as expected without being "too gummy" if you know what I mean. 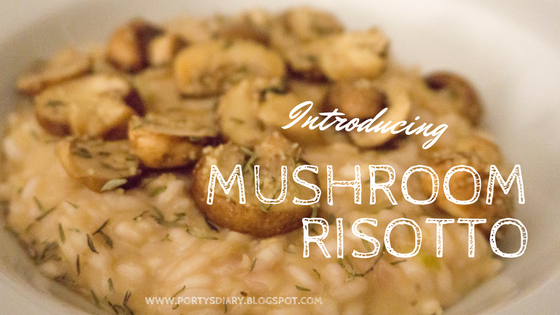 Here's the recipe for you & give it a try: Mushroom Risotto recipe. Sempre gostei muito das receitas do Oliver. Esse risotto deve ter ficado delicioso! Gosto bastante das receitas dele,e normalmente sao faceis de fazer!